Posted July 24th, 2018 by golfvi & filed under Tales from the Trail, Victoria Golf. 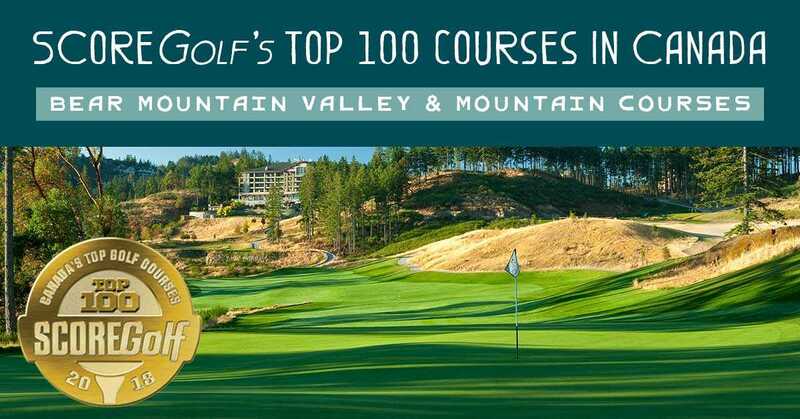 Both of Bear Mountain Courses made it on the list with the Valley Course landing at #80 (up from 89 in 2016) and the Mountain Course at 96 (down from 72 in 2016). Congratulations Bear Mountain, not only are you delivering some of the best golf courses in BC but in Canada as well! It was a great trip! Loved every minute of it! Loved the simplicity of being able to book multiple golf courses as well as hotel all at once for a good price!